« What’s been goin’ on? Autumn 2014 at Aphrodite – the whole story! Our philosophy is to absolutely respect our clientele and bring you the best of what fashion has to offer. Just because we’re in a small town in rural Nova Scotia doesn’t mean we can’t compete with the best. We have been told time and time again that Aphrodite could be in New York, Toronto, Montreal – any great city on the continent. So we’re making Antigonish just a bit better by being here – and letting our visitors know that the women in this town know fashion. Here’s a synopsis of what we are offering this fall. Renowned jeweller from Tracadie – Clare Bridge, just won a major award in Nova Scotia. 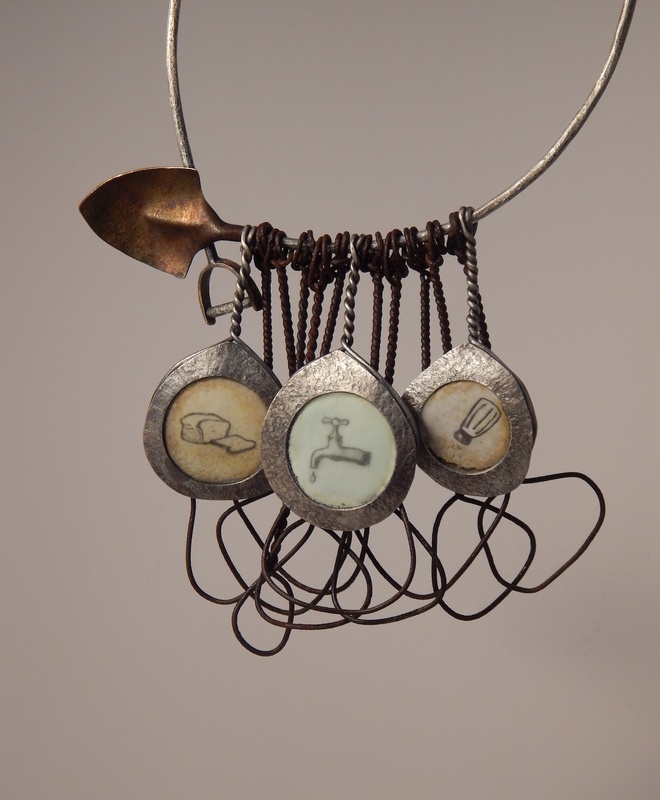 On Thursday, September 27, a piece of Clare Bridge’s one-of-a-kind jewellery won the NSDCC JUROR’S AWARD, for the PEACEWORK show at the Mary E.Black Gallery in Halifax. Clare’s hand-forged sterling silver, bronze, steel, and enamel necklace, titled: “Nelson’s neckpeace”, was amongst 16 chosen artists, representing a variety of mediums. Clare also won the JUROR’S AWARD for the TITANICA show at the Mary E.Black Gallery, in August 2012. Clare’s jewellery is inspired by organic textures and designs, which can clearly be identified in the two winning pieces, along with her other jewellery creations that we offer at Aphrodite. The PEACEWORK exhibit runs through November 9, 2014; a must see! We have a new collection called Meto from a Quebec based jeweller named Jaques Bastien. His works are classic in nature but always with a twist – for those who are more subtle about their sense of design. Did you know we are now carrying the works of our local girl Sarah Sears? 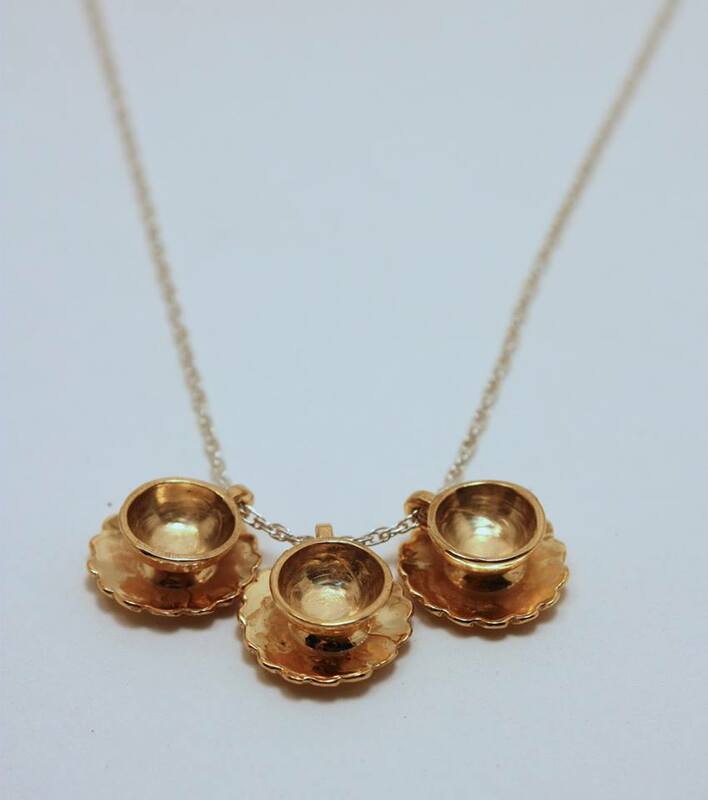 She completed her studies at NSCAD University, apprenticed in New York and has launched into her own collection of exquisite designs – many of them featuring tea cups. The jewellery gallery continues to feature the finest artisinal works from Ayala Bar, Karley Smith, TwoA, Suzanne Squires, The Barbers Daughters, Dorothee Rosen, Liquid Metal, Brave Leather, Tori XO and Julita Nasczk. Sandwich (Amsterdam) never fails to please with its striking colour groupings and always beautiful surprises in the stitching and general architecture. The price points are excellent and the fit is perfect. Last year we launched Tonia Debellis, a wonderful line of jackets and tunics made in Canada. It sold out in weeks and this year we just received our shipment last week and half of it is gone. Why? Because it flatters your figure and makes you look awesome regardless of size. On my buying trip to Montreal last spring I discovered some new collections that have now arrived at Aphrodite for the first time. I was simply blown over by the incredible sense of design and structure and the impeccable fabrics originating in Germany from Set. 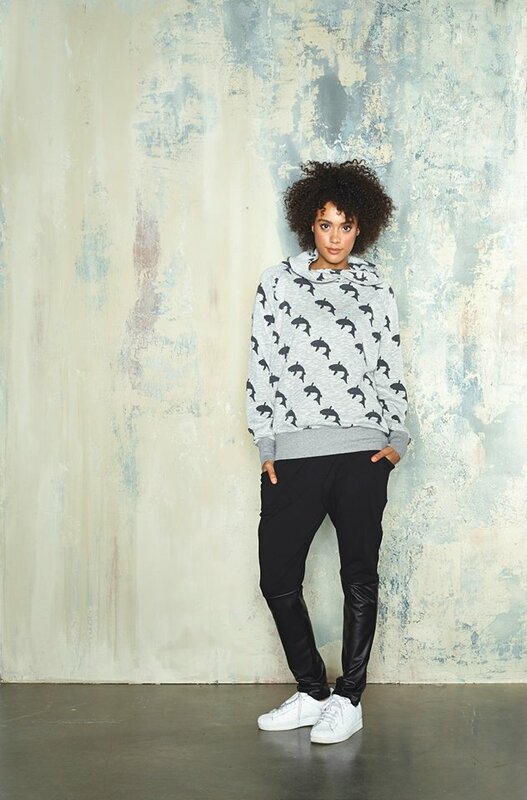 From Amsterdam, 10 Days is another edgy and adventurous line that we have for the first time at Aphrodite. Their high collared turtlenecks and slouchy sweatpants add a whole new dimension to casual fashion. Luisa Cerano from Italy is about as luxurious a line of knits that can be found anywhere. Recommended by some of our most cosmopolitan customers, we took a chance and have brought it to Antigonish. I have come to know that she is one of the most creative designers on this planet. The new collection is structurally perfect. She is to fashion what Frank Gehry is to architecture. This season she has launched a pair of pants like nothing I could have ever imagined. I just shake my head and ask where does this genius come from. In Toronto I had a look at a new line for us called Mado from France and was simply seduced into bringing it to you. They do some tunic tops (to wear with leggings) that are simply sensational – and check out their great black and ivory lace skirt. An old favourite with a new twist is Simon Chang. There’s some serious glam going on in that collection this fall. Spanner – another Canadian line – has never looked better so we have a full collection of the best casual wear in colours that change the winter spectrum. If you have a special occasion coming up – glittery, or just plain classic chic –we have our favourites from Groupe JS and Joseph Ribkoff as well as pieces from the collections we have already mentioned. BUT we did bring in another gorgeous new line called Adrianna Pappel. Red lace anyone? It’s all sooo pretty. Aventures Des Toiles has reappeared at Aphrodite in the most exquisite designs – some of you may recall that the whole line is inspired by commissioned artworks that are profiled with each piece. We have up to size 16 in tunics and dresses from this collection. Pure art! We have also received some terrific cheap and chic pieces from Mink Pink – gorgeous flirty little dresses for under $100, lacy tops. Leather look skirts, Beetlejuice blazers and totally funky/ chunky sweaters. Hue Leggings never fail to surprise. This season we have new shapes like the Moto pant with reinforced knees and zipper detailing as well as serpent print metallic jean type legging that have been so hot across the continent that reorders are not possible. You snooze you lose. All at $65 or under. The ultimate legging is by Kooi – bright paisley blues and reds not for the faint of heart. Their sweater coats are transformative. is evolving with more colours and sensational shapes from Sympli. Teal blue, eggplant, silver and charcoal, RED…..You will be dazzled and bedazzled! Sympli colourful coordinates in Goddess plus sizes. We found another very wild collection for the fashion adventure seekers in Goddess Plus sizes called Rock and Karma. Designed by Toronto-based sisters Naomi and Devorah Shapiro, Rock ‘N Karma is known for its colorful and original hand-painted designs. The design duo’s philosophy is to create a high quality fun-loving clothing line that appeals to women of various ages and sizes. Luisa Cerano is appearing in that group as are many of the Spanner styles plus a few other surprises. No matter your size – you will not be disappointed at Aphrodite. Jeans lovers will be please to shimmie into the new Yoga Jeans just arrived AND we have a great surprise for you. Remember the makers of Yummie Tummie – the best body shapers on the continent. We swear by them at the store. Whellll… the genius behind the brand, Heather Thompson has designed a new collection of jeans that sent us into shock and awe. It’s so good they have patented aspects of the fit. That collection will arrive within the month. Periphery from Toronto came and almost went in a matter of weeks. We still have some amazing shapes but they won’t last. Proof positive that our women care about quality and style above all else! La Marque – formerly Bod and Christiansen, is known for their superb work in leather. This week you will see what it was that took my breath away. Leather and knit body hugging jackets, vests and the ultimate legging – in black leather! This is a good segue to tell you about the Mallia coats that will also appear this week. Mallia is made in Canada from the finest woollens imported from Italy. (You’ll be happy to know that we still have some stock from last year at discounted prices). We only buy in small numbers because we don’t want to flood our market with too much of one thing. But our stock is always rotating and while favourites are making their exit new ones are taking their place. October is the hot month for deliveries so make sure you get here for the best selections. I know… I know – all this talk about fashion seems so trivial when the world is in such a sad and sorry state and we’re all worried about war and politics and disease. It’s been a tough year for all of us. But does that mean we should we stop eating healthy, exercising and taking care of ourselves? Life goes on and we’ve only got one crack at it. Care… but just be your best! That’s my new motto. That and Nerves of Steel. Excellent post Tiiu! Thank you for reminding us that ”just be your best” is the best thing you can do for yourself and for those around you. Just wanted to check and see if you received the CD’s that I sent to you. Also, we were at the grocery store and saw Mimi and mentioned that we had met you. Thanks for sending, Tiiu. You should be a writer. Aphrodite is just the bees knees. Nice post, hope to be in this week! Hi Tui – Thank you so much for sending me a copy of the book – I enjoy it a lot and I’m going to include it in my sisters gift! Also I received the lovely blue jacket and it’s perfect and I look forward to receiving a black one as soon as it becomes available in the large. I’m going to have Nancy return the pair of tights I bought from you with the faux leather inset – I finally tried them on this weekend and they’re way too small and too short wasted so I’m afraid they can’t be altered enough for me to be able to wear them. I have been wearing many of the items I bought from you and must say I enjoy them all – were you able to get the Pacini longsleeved tunic any of the other colors? Sending you big smiles and much happiness your way! I have another Sarah Pacini long sleeved tunic in a deep emerald green. 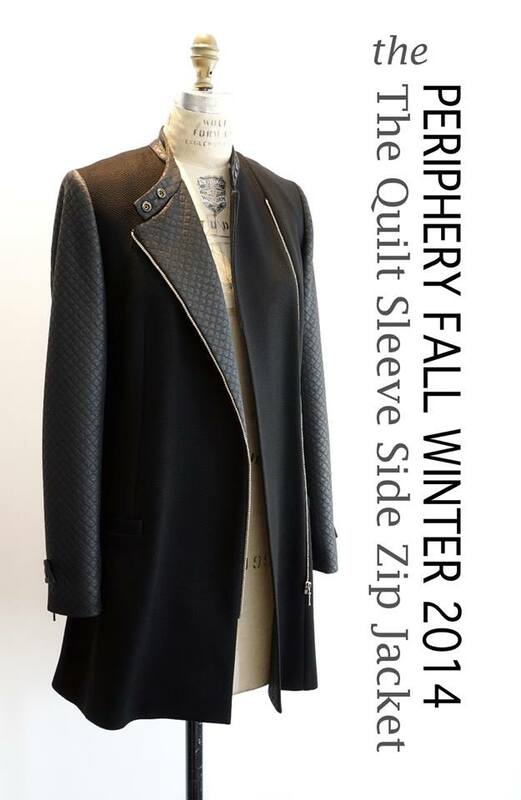 And I could send you few other items to consider – a dress and a sweater also by Sarah Pacini. I think you would love them. It was so great seeing your sister again a few weeks ago. Did she tell you the story?